Olga has over 25 years’ experience as a Family Nurse Practitioner and Nationally Certified Massage Therapist. She has worked in Public and Private Practice, delivering primary health care to family members of all ages, with a continued commitment to preventative care for women and children in her community. 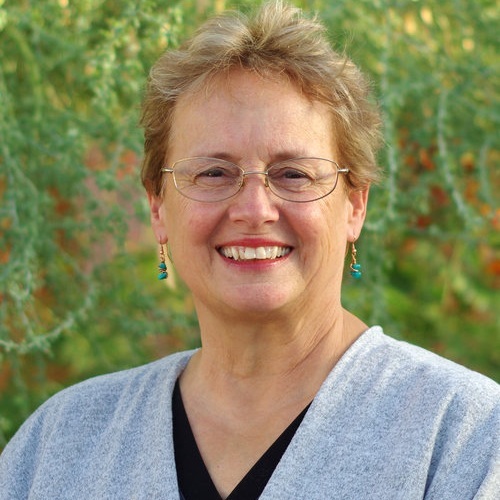 She is co-coordinator for an integrative health center in Arizona and is retired staff from a local, state-accredited massage school. Olga serves her community as a volunteer member of the Yavapai Regional Council of First Things First, Arizona’s Early Childhood agency that partners with communities and families to help more children arrive kindergarten healthy and ready to succeed. As a CEIM, she has been teaching families for over 20 years. She participates with her colleagues to ensure growth and standards of the Infant Massage curriculum and has served eight years on the IMUSA Board of Directors. She continues her education regularly, proceeding to train as a Zero to Three Trainer on The Growing Brain and is a member of the Infant Toddler Mental Health Coalition of Arizona. Olga brings to the training her passion for teaching and sharing, along with a compassion for the opportunity for personal growth available when doing this work. You can view Olga’s training information here.